The culinary event is scheduled to run from Jan. 25 to 30, and Feb. 1 to 6. For the second year in a row, from as far east as Pasadena all the way to the Westside, from Woodland Hills down to Long Beach, the consumption of pricey edibles will be made more affordable during dineLA Restaurant Week. Sponsored in part by The Los Angeles Convention Center and Visitors Bureau, the culinary event is scheduled to run from Jan. 25 to 30, and Feb. 1 to 6. Yes, that's actually weeks, but if they're going to lower prices, do you really want to bother them with minor details? A list of participating restaurants and their menus is available online (NOTE: Refer to the prix-fixe menus on the dineLA site, not the menus at the restaurants' Web sites). More than 150 restaurants have registered for this year's event. Prices are expected to range from $16 per person for lunch at "deluxe dining restaurants" like Gladstone's of Malibu, on up to $44 per person for dinner at "fine dining" establishments like Yamashiro in Hollywood. 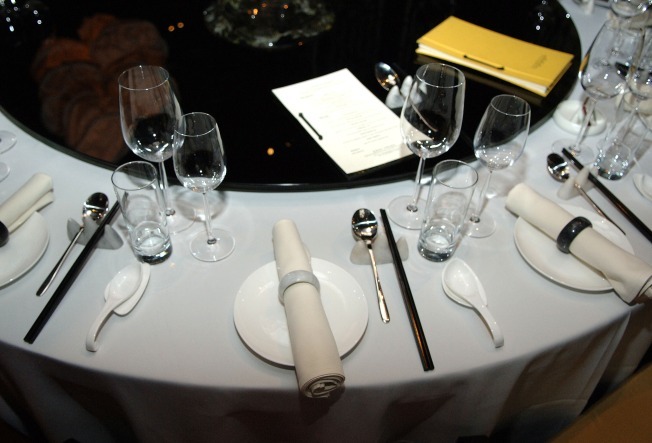 How much of a savings the prix-fixe menus represent depends on the individual restaurant. But, since many restaurants have their regular menus online, it doesn't take much research to do some cost-comparison analysis.